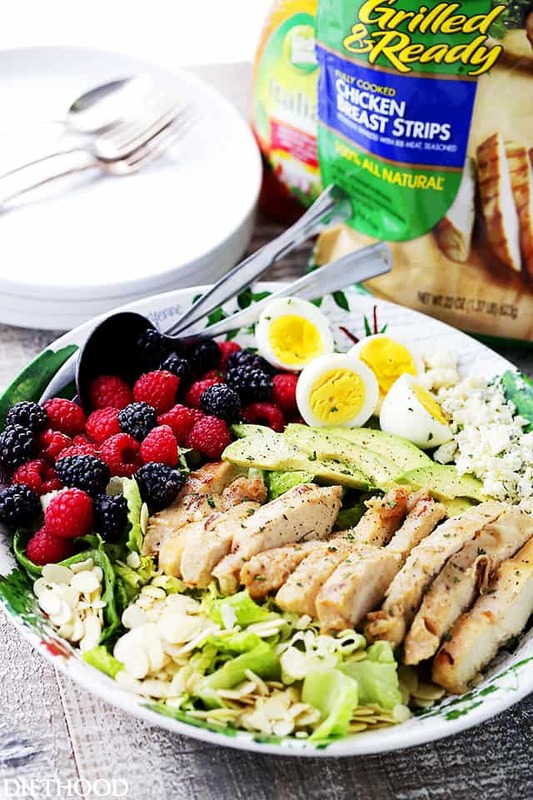 Summer Cobb Salad – Tossed with Italian Dressing, this Cobb Salad is packed with sweet berries, avocado, blue cheese, eggs, and grilled chicken, making it the perfect meal salad for you and your family. Salad-based magic coming to the table! Hi, guys!! New favorite meal, right up there! It’s quite possible that big meal Summer Cobb Salads were MADE for me. Because essentially, you’re enjoying a delicious, sometimes odd concoction of ingredients on a bed of lettuce, and it’s a MEAL! I am probably going to be eating 50-times my daily recommended amount of salads from hereon, especially if they all taste like this. Also? You know those times when you are so excited about Summering all day long, but you also know that you all HAVE to eat dinner at 6pm and you’ve got nothin’? That’s been my life this entire month, so far. For that reason, one of our favorite go to meals nowadays is a big ol’ salad filled with protein, fresh fruits, and nuts. However, this Summer Cobb Salad is basically the flavor bomb of my life. 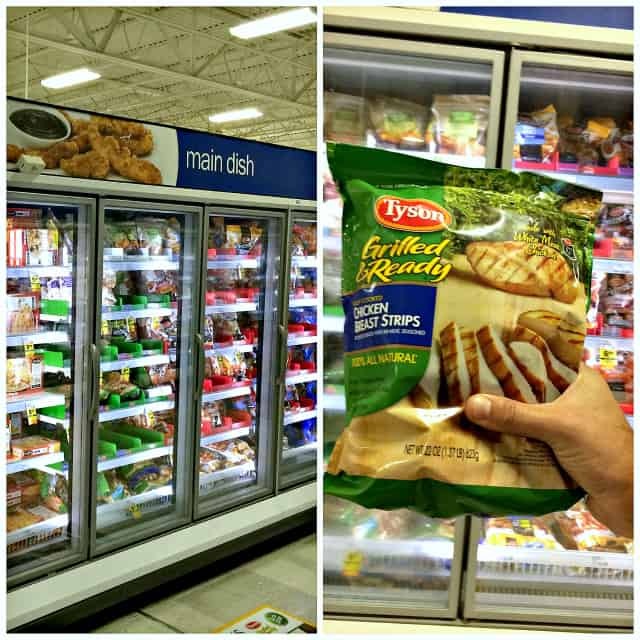 I completely love this combination of fresh and unexpected flavors, crunchy textures, and nutritious food power. 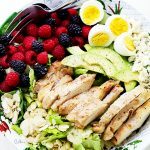 This Cobb Salad starts with the help of Fully Cooked Frozen Grilled Chicken Strips, handfuls of berries, my favorite smelly blue cheese, eggs, avocado… all the good stuff which totally shines with the cooling, tangy, seasoned and sweet Italian Dressing. Fast and easy? Convenient? Adaptable? Simple? Delicious? That’s THIS! A meal that’s perfectly balanced, stocked full of protein and bursting with flavor. 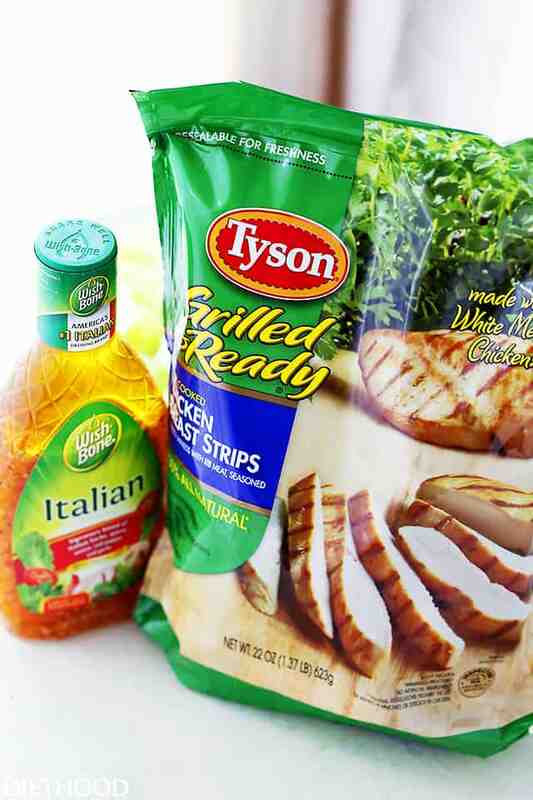 That’s the great thing about Tyson® Grilled & Ready® Chicken; we can have the best of both worlds. 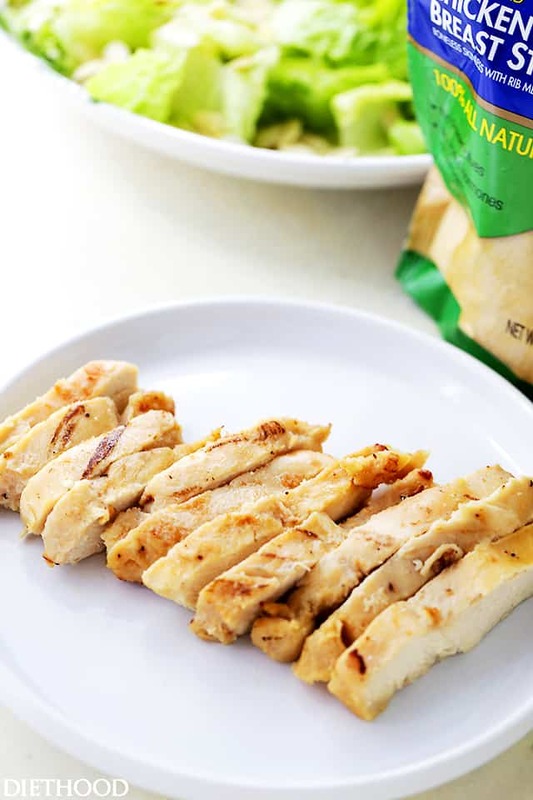 On the one hand, we can enjoy more hours at the pool because our chicken is practically done, two, the end result is always delicious, and three, protein filled meals are good for everyone. 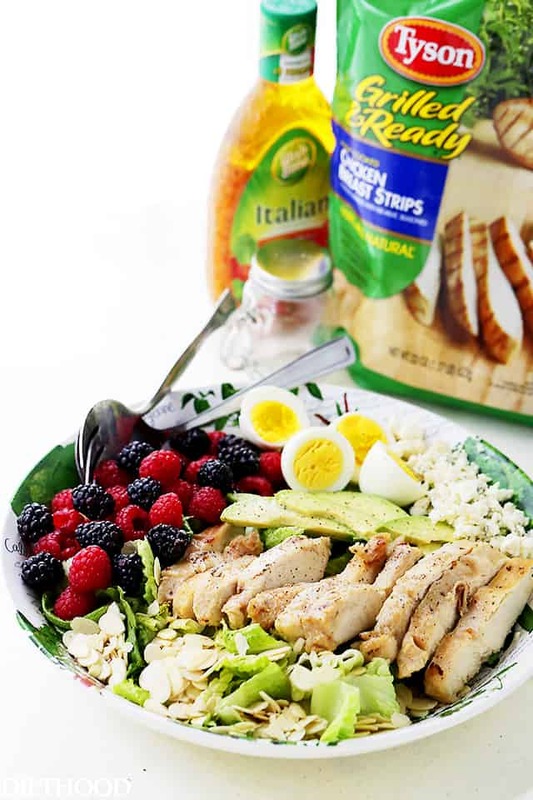 A light filling salad loaded with sweet berries, avocado, blue cheese, eggs, and grilled chicken, all tossed in a zesty Italian Dressing. Arrange lettuce over large platter. 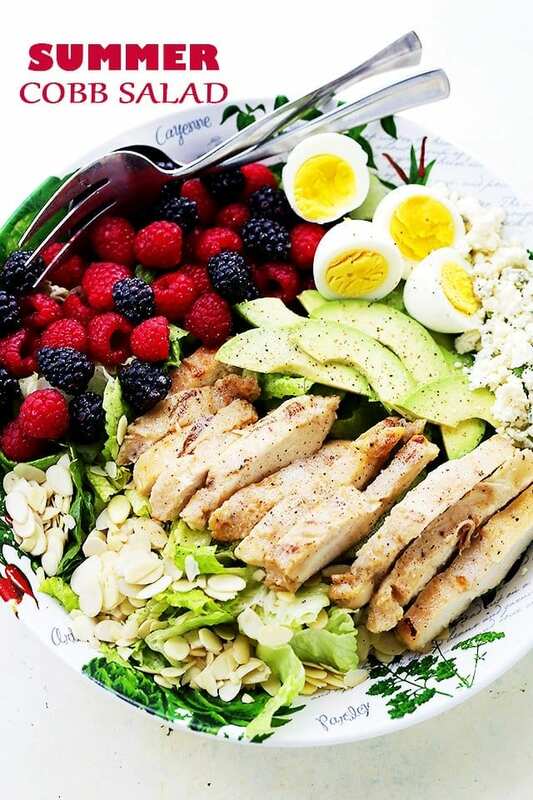 Place almonds, blackberries, eggs, Fully Cooked Frozen Grilled Chicken Strips, avocado, raspberries, and blue cheese in rows over the top.